Boo books are a delightfully entertaining series of peek-a-boo books for kids who are inquisitive. Each book has four secret sliders for children to pull out, including an extra large slider on the back cover. These books have simple rhymes that invite little ones to find out who's hiding by pulling out the slider. 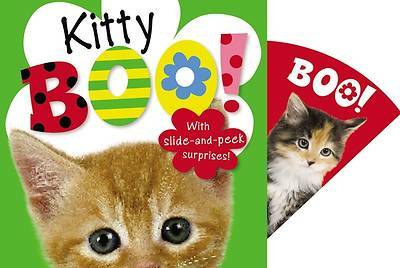 The charming, whimsical text and gorgeous photography combine to make these cute books highly entertaining for babies and children.